Pilgrims have to spend around Tk 20,000 more this year to perform hajj despite the reduced airfare. The cabinet today approved the draft of Hajj Package-2019, fixing the maximum cost for a pilgrim under the government arrangement at Tk 418,500 which was Tk 397,929 last year. The plane fare has been fixed at Tk 128,000 which was Tk 1,38,191 last year. He said: "Pilgrims have to pay Tk 418,500 to avail package-1 under the government management while last year it was Tk 397,929. And Tk 344,000 have been fixed under package-2 while it was Tk 319, 355 last year." "Meanwhile, the minimum cost of performing hajj under private arrangement has also been fixed at Tk 344,000," he added. 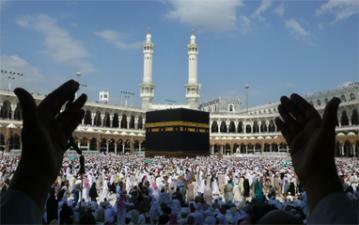 A total of 1,27,198 pilgrims will be able to perform hajj this year. Of them, 1,20,000 will go to Saudi Arabia under private management while 7,198 under government management, said Shafiul.